Stop buying store bought mayo! 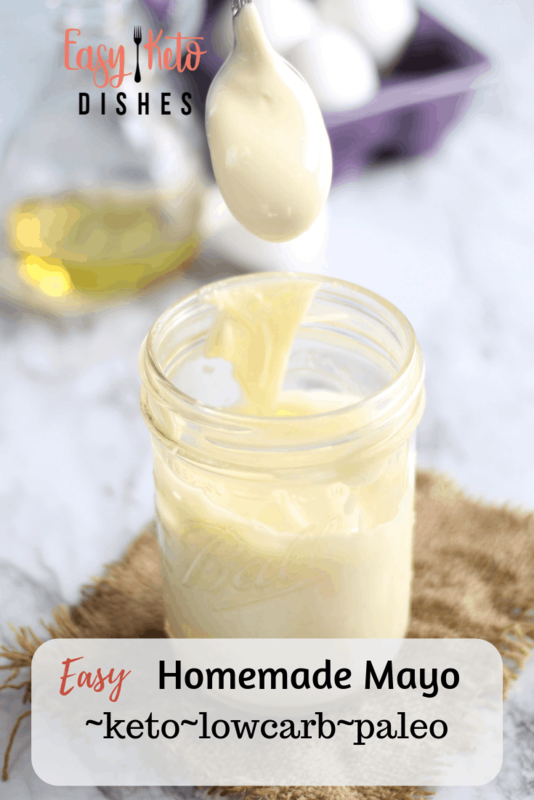 You can easily make it yourself, AND have it keto friendly with this best homemade mayonnaise recipe EVER! When on a keto diet, most sandwiches are out. You know the kind, with thick, crusty bread cut in half, loaded with processed meats and slices of rich flavorful cheese. Don’t forget the condiments…the mayo, the mustard, the thick slices of tomato. It can make a person’s mouth water just thinking about it. Especially the mayo. Thick, rich, creamy mayonnaise. Soy was once thought to be the “miracle” for all health issues such as hot flashes, and heart disease. However, recent studies are showing that may be the exact opposite. While the jury is out on this, it may be best to avoid all forms of non-fermented soybean as much as possible. Making your own healthy mayonnaise without soybean oil is very easy. As a matter of fact, you can whip up a batch in less than a minute. Perfect for slathering on crisp romaine lettuce for a unwich wrap. Awesome for stuffed eggs, too. 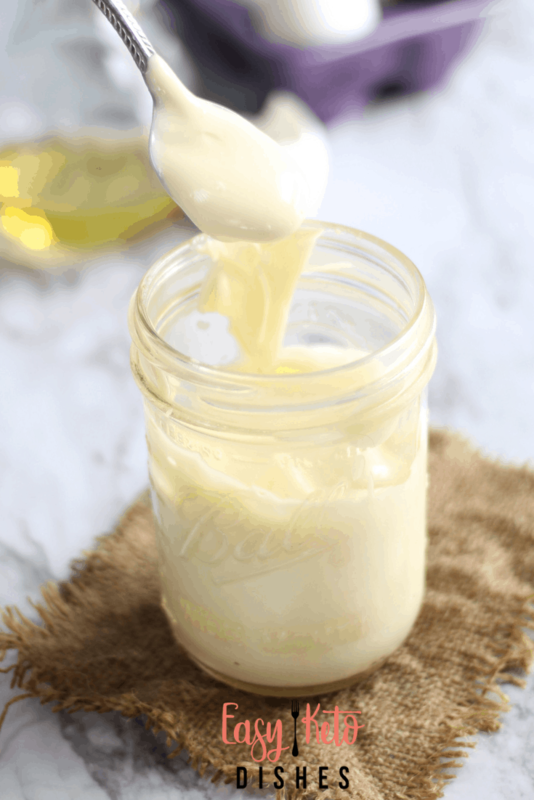 (get that recipe here)The best homemade mayonnaise recipe starts with fresh eggs, lemon juice, salt and a dose of healthy avocado oil! Lemon juice-flavor and helps to preserve it longer. Feel free to use bottled or fresh, if you have it. 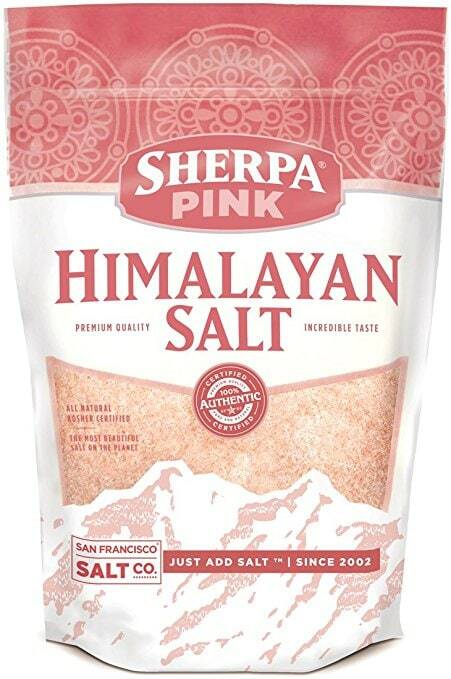 Real Salt-the more colors, the better. That means the minerals are still in the salt, helping your body to process it correctly. 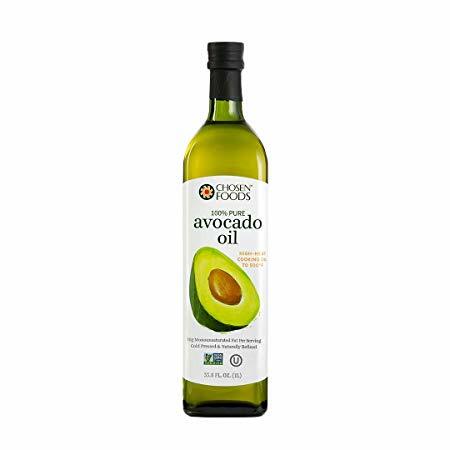 Avocado Oil-light and tasty, with a mild flavor that makes the mayonnaise very smooth. Fresh Eggs-the base of any great homemade mayonnaise. Try not to worry about the raw white part, as it’s only a small amount, and will be properly refrigerated. If you really can’t get past the raw whites, you can sub 2 yolks instead. Just be aware your homemade mayo may not be as thick. The secret to great homemade mayo? It’s in the layering, baby. When you allow the egg to sink to the bottom of the jar, and let the oil rise to the top, the mayo mixes in much faster, and much thicker. This process will only take about 2 minutes or so. By the time you put the eggs back in the fridge, it should be ready to go! 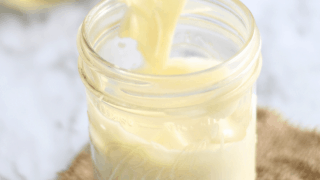 Are you ready to make your own homemade mayonnaise? What will you use it on first? Be sure to pin this for later! Layer the ingredients in a jar, in order given. Allow the egg to sink to the bottom of the jar, and the oil to remain on top. This may only take about 10 seconds. 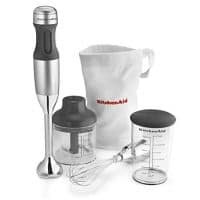 Place an immersion blender at the bottom of the jar and “whir” for about 30 seconds. You’ll see the mayo beginning to form. Slowly raise the blender up as the mayo is blending. Add more salt to taste, if desired. Failed recipe. Followed instructions exactly but it never thickened. ? I’m sorry. It would be hard for me to help troubleshoot it due to my not seeing what you are doing. I have issues with it getting thicker if the eggs are not room temp.